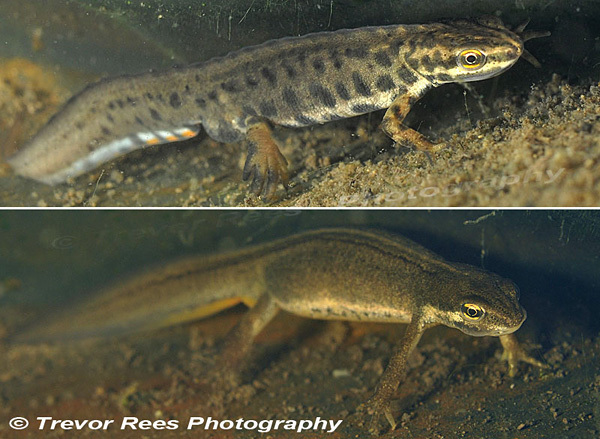 Male and female smooth newts from my Worcestershire garden ponnd. The common newt (Lissotriton vulgaris), from a murky Worcestershire pond during mid March. Also called the smooth newt. The male is easily identified by his jagged crest and bolder colours. From their behaviour, mating looked as though it had already started.